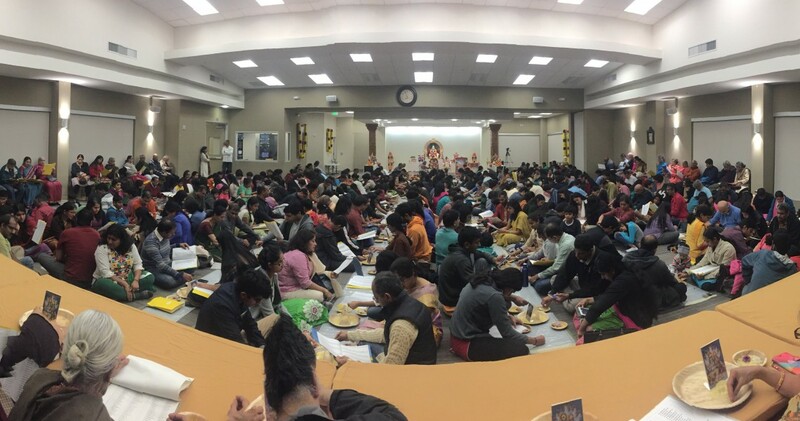 A large crowd of over 400 devotees gathered at Chinmaya Sandeepany on Dec 31st evening to bring 2017 to an end and to welcome 2018. The crowd was treated to bhajans by Swaranjali. 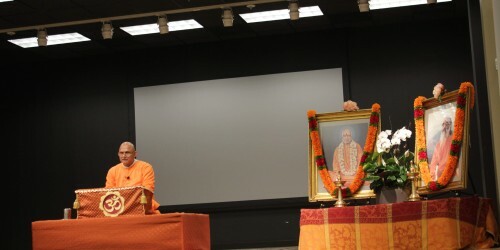 As a special treat, Swami Advaitananda-ji accompanied them on the tabla. This was a rare treat that will not be easily forgotten by those that attended. 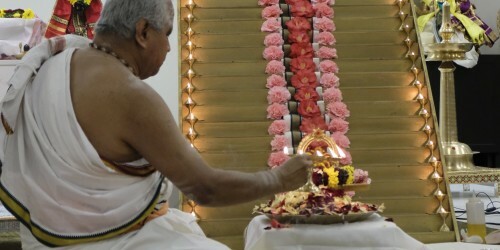 This was then followed by a Samashti Vishnu Sahasranamaa Puja led by Pandit Ravichandran-ji. 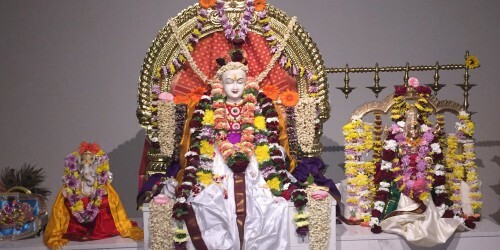 After the puja was over, Swami Advaitananda-ji asked the assembled devotees to watch a video by Puja Gurudev recorded for New Year’s 1989. In his inimitable manner, Pujya Gurudev inspired us to change ourselves to choose to live the higher unfoldment in ourselves.